They came back! Play with courage kittens and do everything to defeat the terrible foxes. You have yo overcome all obstacles at any rate. 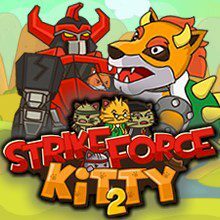 Collect fish and buy cool clothes and weapons for the fearless kittens. Enjoy the game now!